Selena Gomez is an American singer, actress, and producer born 22 July 1992 in Grand Prairie, Texas, USA. She became popular by Disney’s channel teenagers TV series ‘Wizards of Waverly Place’. She is a Brand Ambassador of UNICEF. Selena is an actress, singer, model, songwriter, composer, designer. Her mother has part Italian ancestry and her father has Mexican descent. Selena got the beauty, sensual lips, curly hair, wide smile, brown eyes bu her father and mother. When she was at age 5, her parents divorced and then she had to move Los Angeles with her mother. 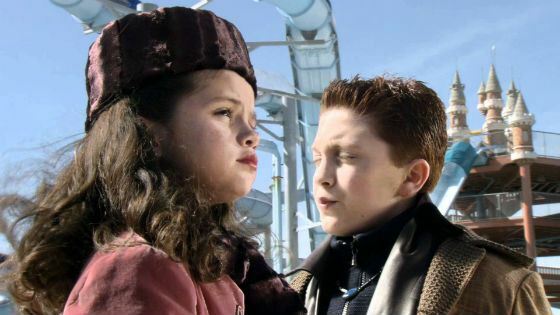 In the year 2003, she debuted with a small role of waterpark girl in Spy Kids 3: End Game Movie. Later she got another role in Tv series such as Walker, Texas Ranger: Trial by Fire. Later she was a part of another Disney’s teenagers TV series ‘The Suite Life of Zack & Cody‘ and ‘Hannah Montana‘. After this, she got a leading role in Tv series ‘Wizards of Waverly Place‘ which went six years on Television. She is not only a good actress but she is an awesome singer too. In 2008 she sang with Jonas Brothers video clip “Burning Up‘. She also gave her voice for Princess Selenia (Arthur and the Revenge of Maltazard, Arthur 3: The War of the Two Worlds), Mavis (Hotel Transylvania, Hotel Transylvania 2). In December 2010, Selena Gomez began dating Justin Bieber. Selena was two years older than Justin. During the first months of Justin-Selena relationship, Selena’s Twitter account was exploding with the number of the threats of girls. More in Selena Justin’s love story, Media were posting their kissing passionately photos of the beach. By this relationship, Justin got fan popularity so high. He flirted with his fangirls. He spotted flirting with Victoria’s Secret Model Barbara Palvin in public area. After many flirting moments, caused a breakup with Justin Bieber in the year 2012. In 2013-14 they were spotted together again later in 2017. In 2016 she was spotted with a young model Samuel Kost holding each other’s hands, sweetly talking in restaurants of Beverly Hills but this relationship didn’t go last long. Another relationship man names are Austin Mahone (2014), Zedd (2015), Charlie Puth (2015), Niall Horan (2015). When Selena was at age 9, she got a role in a children TV series Barney and Friends which gave a new best friend and a celebrity name ” Demi Lovato“. In the series “Hannah Montana” she got another actress, a best friend ‘Miley Cyrus‘. In the year 2009, Selena became a UNICEF Goodwill Ambassador. She has six dogs: Chip, Willy, Fina, Wallace, Chaz, and Baylor.